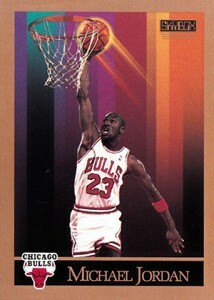 1990-91 SkyBox Basketball not only marked the debut of a new brand, but the set elevated basketball cards in general to a new premium level. That may be hard to notice today, but the product did help pave the way for what would come in the years that followed. Whether you're a fan or not, the 1990-91 SkyBox Basketball design is instantly recognizable. Gold borders give way to colorful backgrounds that are abstract. Toss in glowing basketballs and a black nameplate done with an elegant font and you've a look that's wild and emblematic of the time it was released. Card backs are much more elegant. 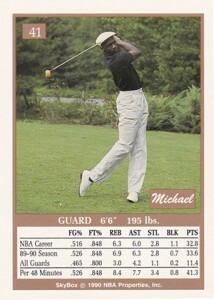 Although NBA Hoops used second photos on their card backs, they were small, generic portraits. 1990-91 SkyBox Basketball opted for large shots that take up a good chunk of the back, often action images or something that shows the player's personality. Stats are limited, but they offer a decent breakdown of how players stack up against one another. The 1990-91 SkyBox Basketball checklist has 423 cards. This is divided between two series. The first has 300 cards while Series 2 is 123 cards. Series 2 packs are a mix of both series. To make room for the second group of cards, an equal number of Series 1 players were removed for Series 2 packs. Technically, this creates a large number of short prints across the entire print run. That said, there's so much of the product out there that it hasn't created any sort of major premium. 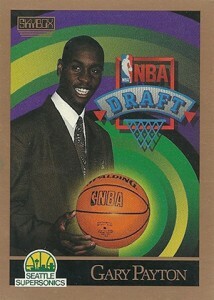 Likewise, due to the massive supply, even the top rookie cards don't command much on the secondary market today. But that doesn't mean there aren't a few standouts. Shawn Kemp, Gary Payton, Vlade Divac, Drazen Petrovic and Glen Rice are among the rookies on the checklist, which includes a Draft Picks subset in Series 2. 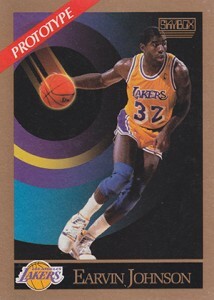 The most valuable 1990-91 SkyBox Basketball cards are its promos. Ten players, including Michael Jordan and Magic Johnson, have cards with a small banner on the front that reads "Prototype." These were given out to dealers ahead of the set's release to help advertise and drum up interest. 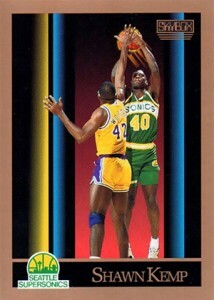 There's also a "SkyBox Salutes the NBA" card that doesn't have any players but is relatively tough to find. 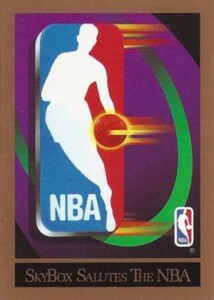 Skybox NBA Basketball Cards 1990-91 Season 2 (3 Boxes) x 36 Packs - NEW ! A very colorful debut set that helped feed the fire that Basketball cards were having. Flashy backgrounds with loud but controlled colors made these an eye catcher. Contains all of the stars of the times. No major rookies but still a nice set for collectors.